A companion to Jeffrey Zeldman's Designing with Web Standards, this book approaches standards from a more tactical and instructional point of view. Today's web designers and developers need to update their skills and knowledge and get away from out-of-date table and font-based approaches. 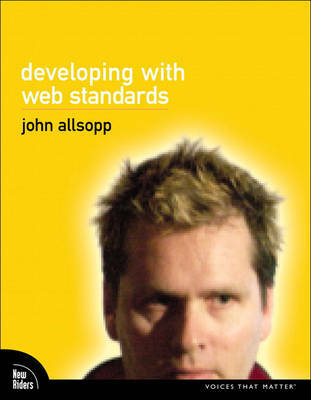 In Developing with Web Standards, they will learn current best practices in standards-based development. The topics covered are based on the author's extensive experience from the professional development trenches and will give readers a thorough grounding in contemporary web development technologies and techniques with a focus on relevant emerging aspects of HTML, CSS, and other web standards.